**Original Design** *100% Handmade*: Decorate the frame with a collage of tiny dried flowers and thin strings, & embellish it with glitter and acrylic, a Floral Ferris Wheels is formed finally! The pressed flowers are totally covered by a layer of *epoxy resin (made in USA)*, the end product is really anti-yellowing and glossy. **What’s more? 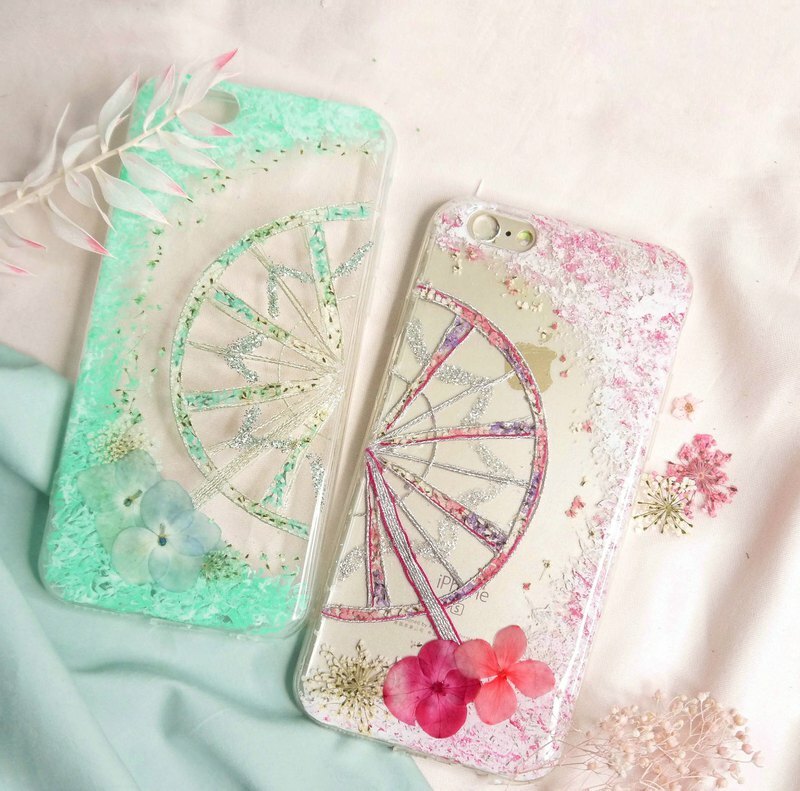 ** It’s warm and romantic to use these *matching phone cases* with your *bestie or lover*, as you may combine two cases into a complete Ferris Wheels! https://c1.staticflickr.com/5/4560/26654156709_3cb040a37d_z.jpg There are *a variety of colour options* for the flowers & strings to meet your requirements. Material of Phone Case: TPU, Hard surface with soft edge (i.e. the edge is covered & protected completely.) Wide variety of phone models available: iPhone, Samsung, Huawei, LG, Vivo, Oppo & etc.. *For Android model’s users, please contact us before placing order. * Limited stock of iPhone Case. Feel free to contact us if you are interested in stock. Please note that *14-28 working days* are needed for *custom-made order*.